Looking around the yoga studio, with all those bodies in downward dog, Jaimee Ratliff didn’t see many that looked like her. As a woman of color, she wondered why yoga—a practice with humble beginnings that has been practiced for thousands of years by people all over the world—seemed to have become so homogeneous and, perhaps, elitist. Instead of focusing on her breathing and her postures, the 29-year-old Spelman graduate and travel writer was wondering: Isn’t yoga supposed to be about inclusion? How can we get more diversity on the mat? 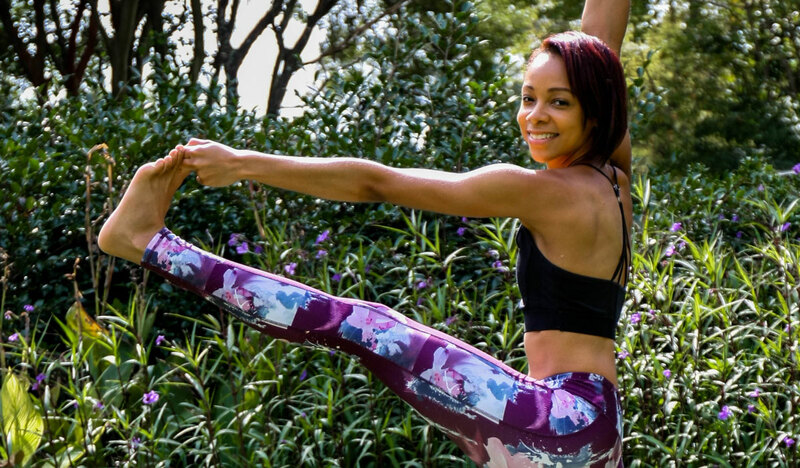 Ratliff sought to answer those questions by creating her own hip-hop yoga class. It’s a pop-up, so customers sign up for her email list (at jaimeeratliff.com) and then get a blast when a day, time, and location—typically an existing yoga studio, a gallery, or a cultural center—have been selected. Since starting this in January, Ratliff has built that list to about 550 people and hosted 60-minute vinyasa power flow classes (for $12 each) every other week. So far, they’ve all sold out. We talked to Ratliff about her background in yoga and the importance of making yoga available to people of all shapes, sizes, cultures, and economic situations. What got you started in yoga, and teaching it? I was robbed at gunpoint in Colombia at the end of 2015. My friend and I were backpacking, our bus was hijacked, and we were robbed of everything. When I came home I had post-traumatic stress. I started going to therapy and getting into yoga. It helped me heal—so much so that I decided to deepen my practice and do yoga teacher training. The teachers would talk about how yoga is for everyone. But that’s not what you saw when you were in yoga classes? Right. I didn’t see many people who looked like me. I mean, I looked through a national magazine, and they did a huge spread on yoga, and only three of the people in it were of color. You get the idea in your head that it’s not for you, that maybe you’re not flexible enough or can’t make your body do that because you don’t look that way. I’m trying to break that down and get people out of that. A lot of yoga classes are pretty expensive, which I imagine can create a significant barrier. I know that people will pay for what they value. But I know that cost can definitely be a factor. So I priced it lower than most studios you can find out there. What was the first class like? It was so beautiful, and really emotional, to see so many people from the African-American community. All shapes and sizes. It let me know that I’m on the right path. When I asked who was new, 10 out of 30 people raised their hands. What’s your goal for the class? Right now I’m popping up in different spaces to keep it creative, fresh, funky, and new. I’m on a roll right now, teaching every other weekend, but want to teach at least twice a week.